Scrapping Fancy: Bad Girls Couture Blog Hop! Bad Girls Couture Blog Hop! Happy Saturday! Welcome to the Bad Girls Couture blog hop! Be sure to start the hop here: Bad Girls Couture Blog. I'm Rae, and I live in Las Vegas, Nevada with my husband, three kids, an one awesome cat. I used to be a high school English teacher, which I loved, but I had an amazing opportunity to work from home in a completely different industry (pharmaceutical sciences), so I've switched careers and I couldn't be happier. I've been scrapbooking since 2007. It all started when I wanted to do something special with some vacation pictures- I went to Michaels to get a photo album and stumbled into the scrapbook aisles and the rest is history! Being a part of the Bad Girls Couture design team has been an amazing experience. I love all of the hard-to-find treasures that Wendy finds for us to use! Every kit is filled with awesome papers and embellishments, not to mention the Bad Girls Couture mixed media products! Check out all of the kits available in The Shoppes! The kits are very versatile- one of my favorite things to do is browse the DT Gallery to see how everyone uses the same kits so differently! Today, I am sharing a layout that I made with scraps and pieces of the different kits we've had so far. I used an old Prima sketch for inspiration. 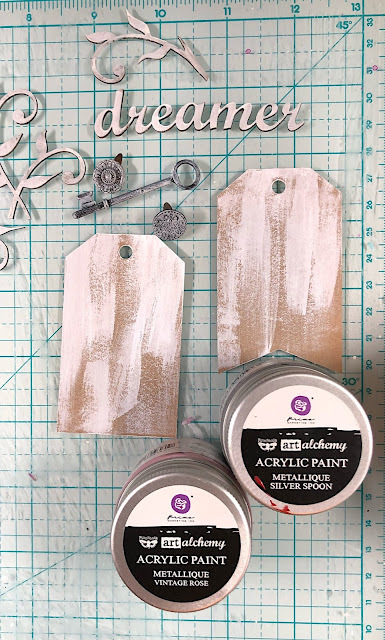 I thought I'd share a little bit of my process with you and how you can incorporate your mixed media products into your projects. I always start all of my layouts with cutting up my layers, and adding a thin layer of clear gesso. I used Prima clear gesso, but I hope to purchase some Bad Girls Couture Clear Gesso in the near future! It adds weight to the paper, gives it a nice matte look, and creates a barrier between any mixed media you want to use, which is great for blending or even wiping up mixed media mistakes! For my paper layers, I am using a grey sheet of paper from the "A Little Bit Gaudy" kit from the 7 Dots Paint Chips collection, some blue paper from the "Joie de Vivre" kit from the Prima Marketing Zella Teal collection, and pink paper from the "Roadside Thrift Shoppe" kit from the Prima Marketing Wild and Free collection. 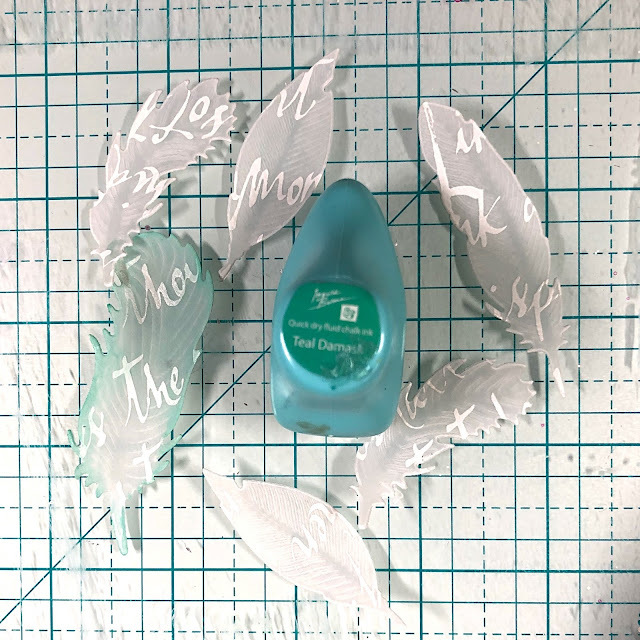 Once the clear gesso was dry, I added some stenciling using a Prima stencil and Bad Girls Couture Molding Paste. 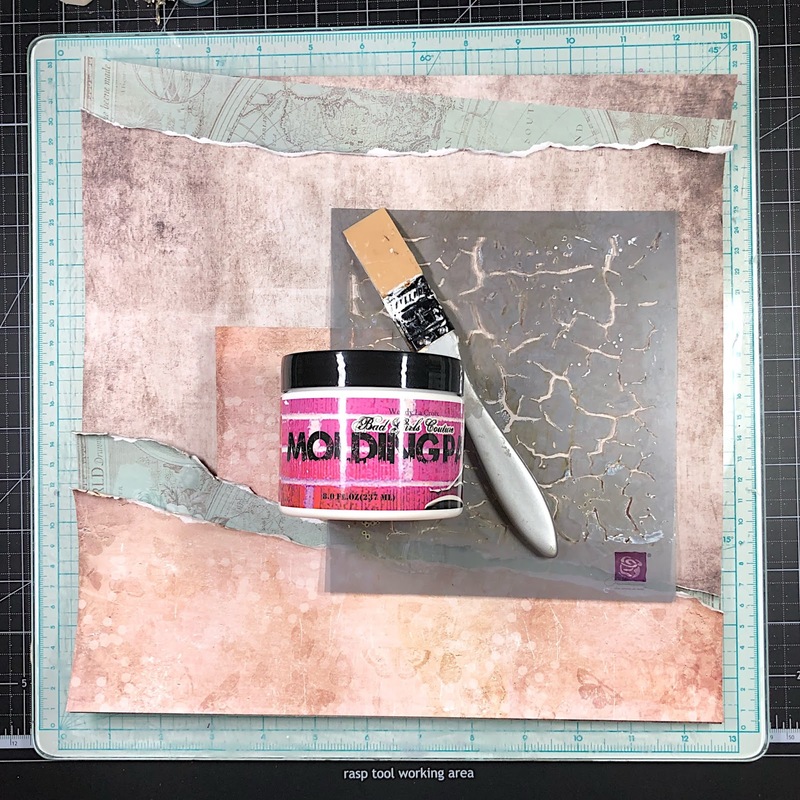 You can get these products in the "Spoiled Brat" November Mixed Media kit. I used a silicone brush to scrap the molding paste onto the stencil. Once the molding paste was dry, I added some stamping with two different stamps. Here's a closeup of what the stamping looks like. For parts that were too dark for my liking, I used a baby wipe and blended the ink. Next, I added some chalk ink to a doily that I die cut from regular copy paper. You can get these chalk inks in the "Spoiled Brat" mixed media kit as well. 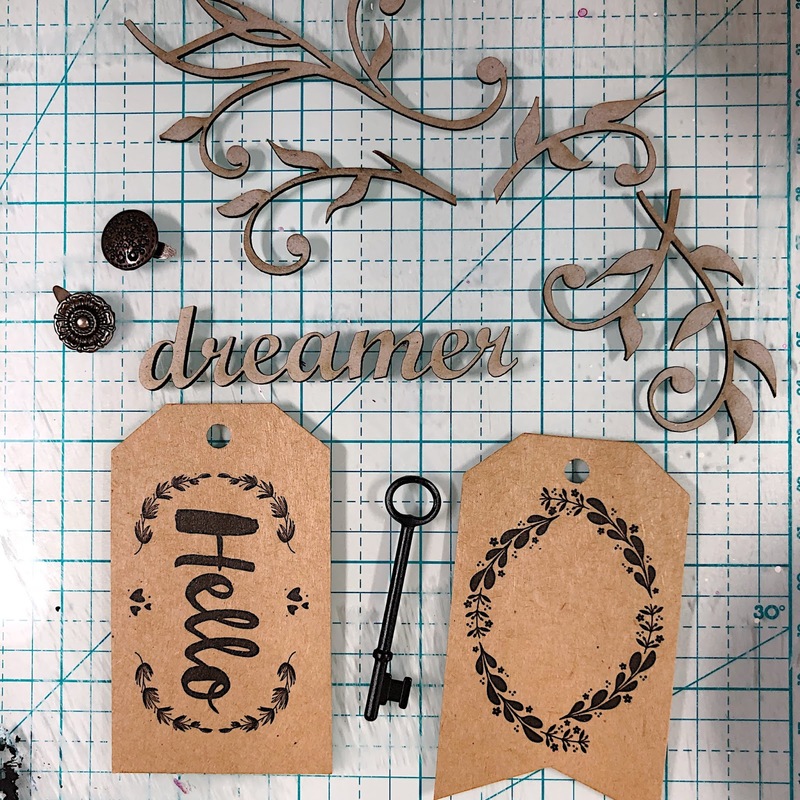 I gathered some embellishments from my stash (chipboard swirls, and title) and some from past kits. 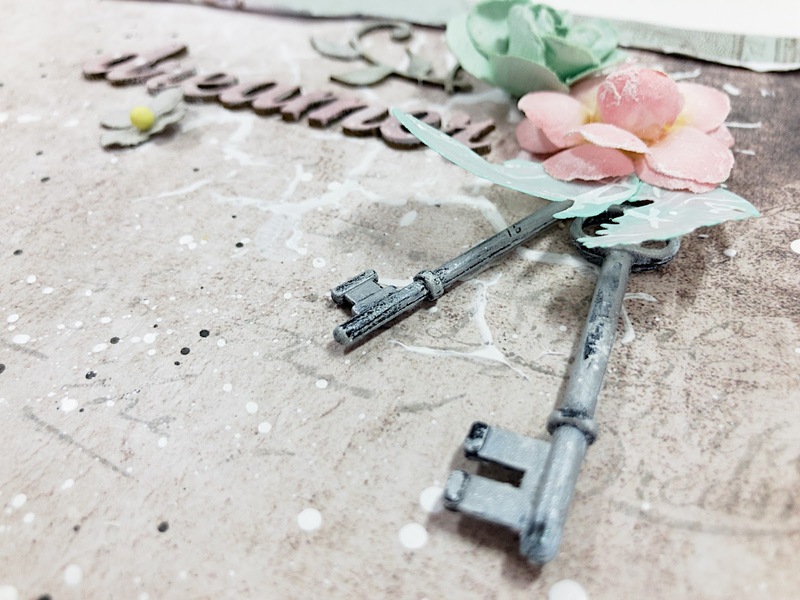 The tags and keys are from the "Caricature" September mixed media kit. The brads are from the flowers in the "A Little Bit Gaudy" kit. I white washed them with Bad Girls Couture Gesso. And then I used the silver and pink paints, also from the "Caricature" mixed media kit. Lastly, I cut out some feathers from the Hambly Screen Prints vellum from the "A Little Bit Gaudy" kit. I used chalk ink on the edges, which, again, can be found in the "Spoiled Brat" mixed media kit. 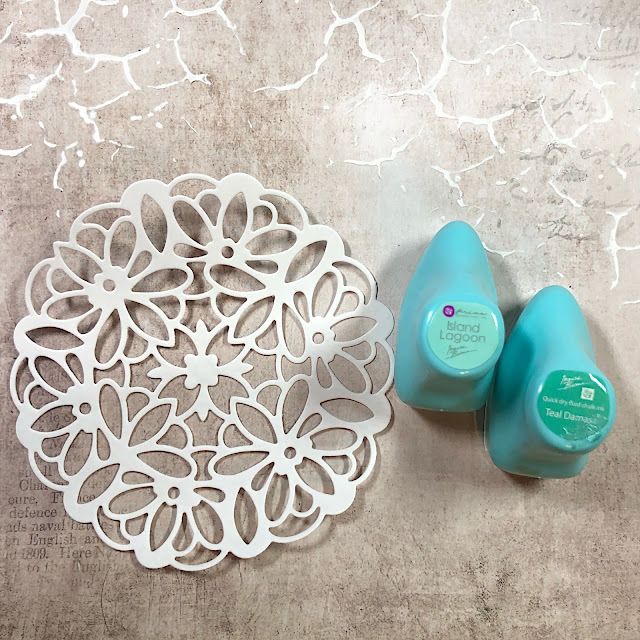 The teal chalk ink was the perfect shade to coordinate with the teal paper. 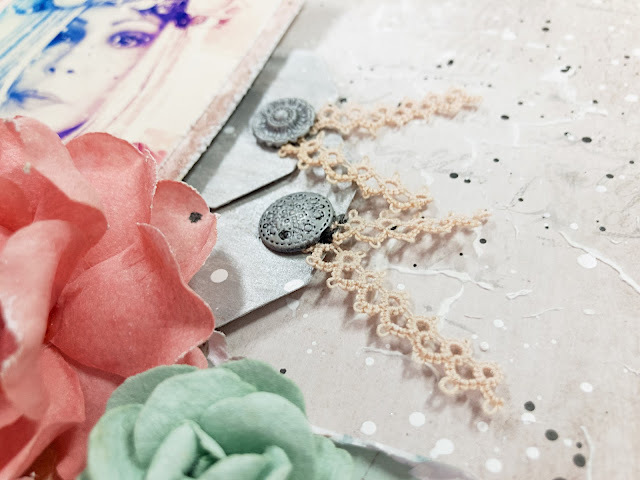 I also added some pink lace from the "Paris Flea Market" mixed media kit to the tags. The pink and grey flowers are Prima. The grey one is in the flower pack from the "Joie de Vivre" kit. The blue ones are handmade. 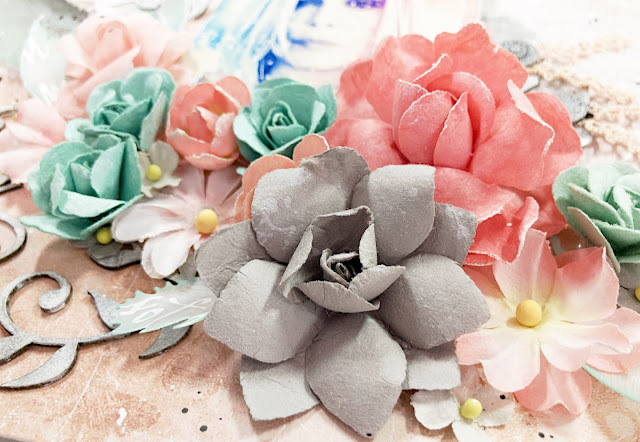 So, this layout was all about me- I ADORE flowers- they are my favorite embellishment in scrapbooking. I have silk flowers throughout my house, and I buy fresh ones whenever I can! And, I titled it "Dreamer" because I am always dreaming of scrapbooking. And here is a list of questions and answers so you can get to know me a little more! 1. What's your favorite color? Blue, black, and grey. 2. What's your favorite song right now? That's hard- I haven't listened to anything new lately, but I've been on a "Matt and Kim" kick lately, so I guess even though it's older, "Daylight." 3. Who inspires you? People who are kind. 9. Who got you into scrapbooking? Me! 11. Favorite Manufacturer? PRIMA, of course! I love everything Prima. 14. Favorite artistic technique? This changes a lot, but lately, I love black and white splatters with India ink. 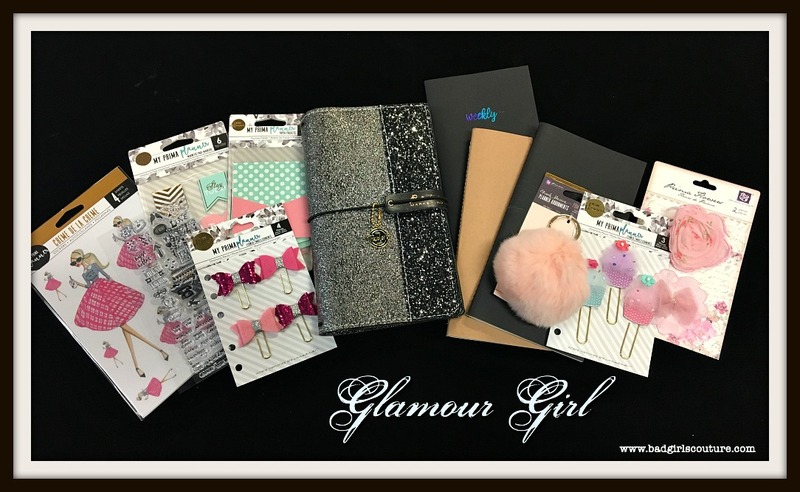 The Bad Girls Couture Glamour Girl Planner kit! This prize is one of many of our Travel Planner Kits…our Glamour Girl kit has everything you need to get started with recording your hopes, dreams, travels, and aspirations! Check out all of the details about the kit HERE. Thanks for stopping by! Leave a comment for a chance to win one of our amazing prizes! Your next stop is Michelle's blog. Check out her amazing project, and be sure you visit all of the blogs! The blog hop ends February 2, at 10:00 PST. Rae Moses- YOU ARE HERE! There are still a few of the different kits available in The Shoppes, so take a look at them- you will love them! And, check out the information on how you can SUBSCRIBE! Your page is amazing. Love the colors and texture. Gorgeous layout Rae! 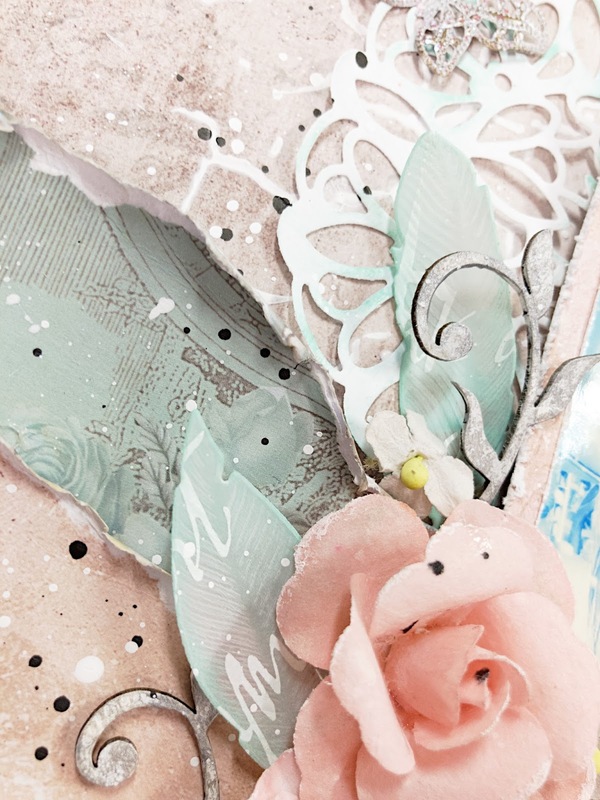 I love the soft pastel color palette and all the texture you added to your design. Thanks for the inspiration! Love your step by step. 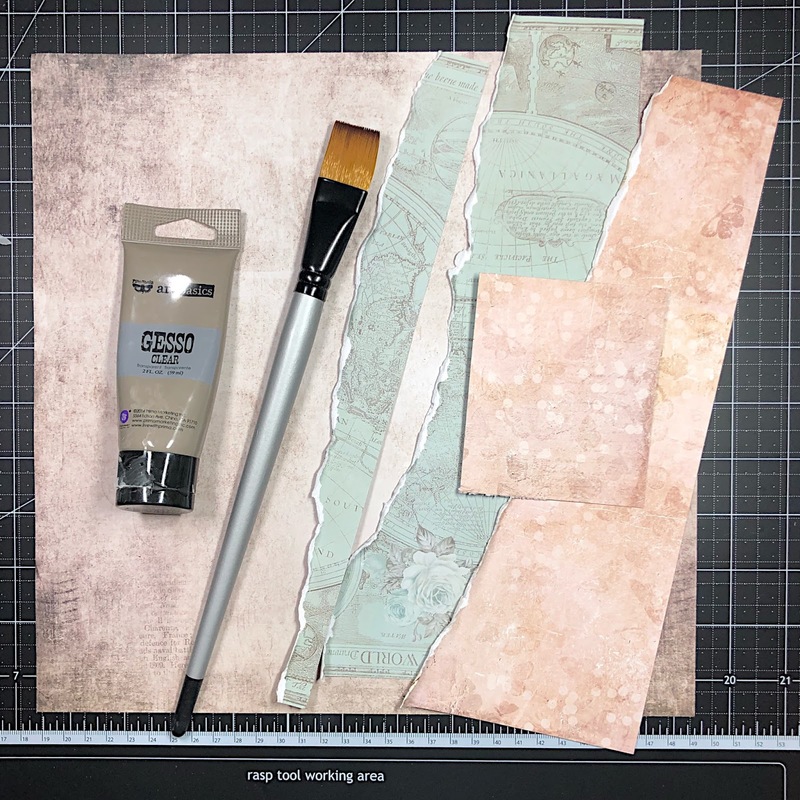 I can easily follow this and get started using mixed media more. Thanks. Wow! What a gorgeous layout, Rae! Your step by step directions and pictures were very helpful. Your layout has a dreamy romantic feel, I love it! What an inspirational piece of art. Thank you. So pretty! 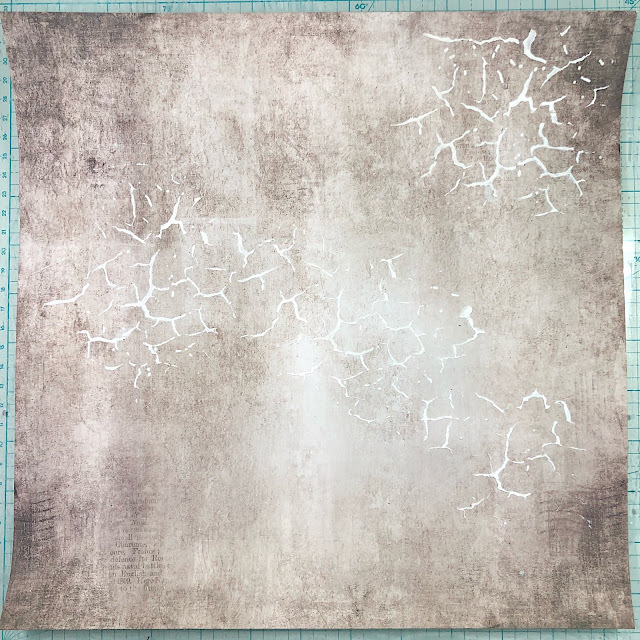 I love your distressing techniques. So I'm trying to figure out what I love best here - the background texture, the altered embellies, the flowers or that amazing photo - I guess I'm going to have to settle for "all of the above" - your layout is simply stunning! Love all the different products and projects, too! That stencil is one of my favorite! Thank you for the tutorial. Stunning layout. Just gorgeous, Rae! Great step by step directions. Thanks for all the inspiration!! These colors together are just dreamy!!! Fantastic layout! Oh Rae this is so delicate and beautiful! Those vellum leaves are divine! 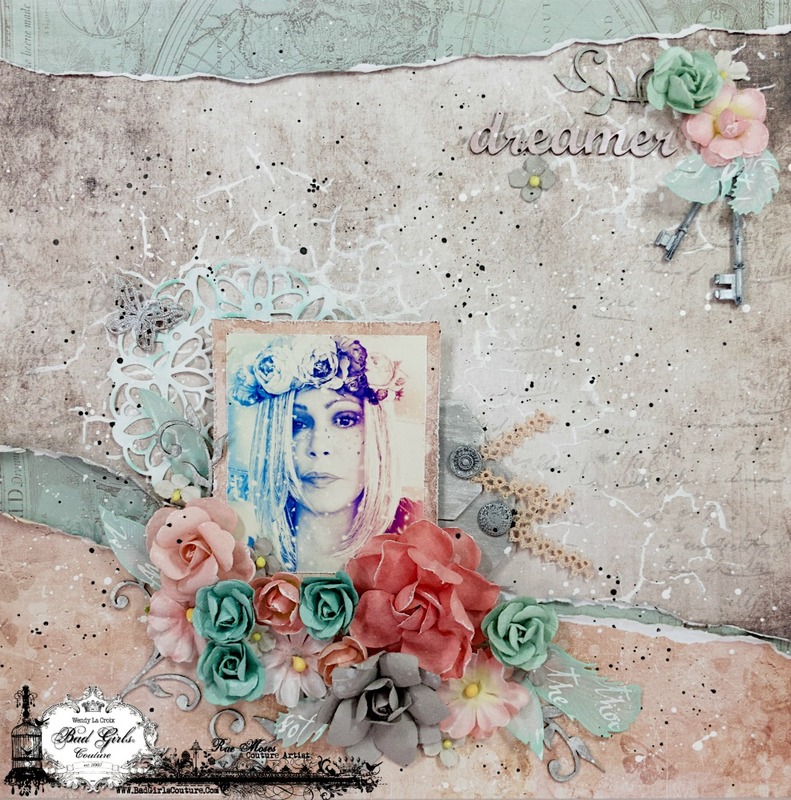 Fabulous layout - I love the grungy look with a hint of feminine fun! this is perfect. <3 love all the texture and tears. I love how you did the whitewashing it turned out amazing on the tags and keys. I love the layering that you did. Amazing layout. 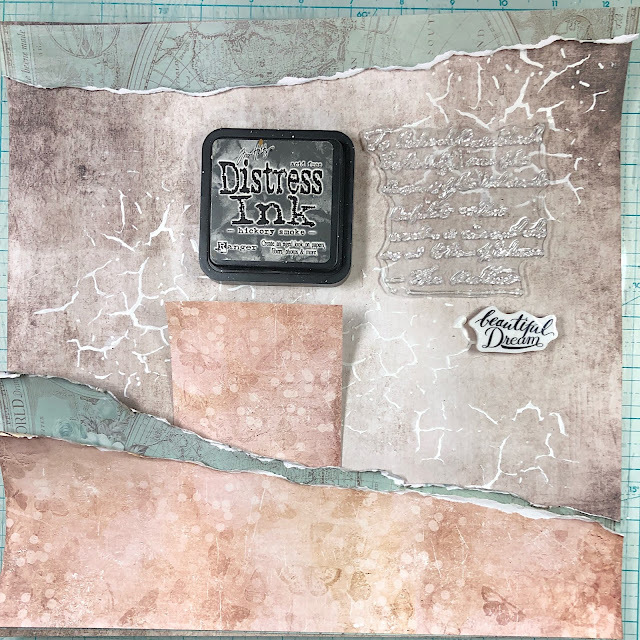 Love the layout and these ideas for mixed media! The techniques are utilized very artistically. Beautiful! I love the paper-piecing, and the delicate nature of the layout! :-) We have something in common... I teach high school English!